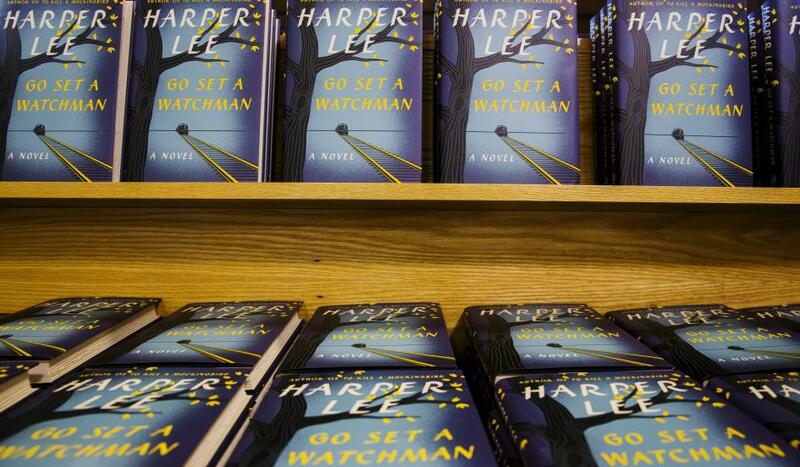 This past July a long-lost, hidden, old and new novel by the classic novelist Harper Lee was published; Go Set A Watchman. As you may have gathered by my description of varied contradicting terms, we don’t quite know the story when it comes to this novel and how it came about. Yet as a lover of all books, and a curious reader at that, I knew that this was a novel I’d have to get my hands on. I prepared by rereading Harper Lee’s first and, until now, only novel To Kill a Mockingbird. I’d read this novel in high school (about 10 years ago), yet I had little memory of it when it came to the details. Frankly, I couldn’t quite remember why this novel was considered a classic, and still, after a reread, I’m left a little in the dark. Either way this second novel of Lee’s, seemingly appearing after all these years with no explanation of it’s 55 year silence, certainly stirred a lot of press, publicity, and varied reports on Lee’s intentions regarding the manuscripts and her desires with regards to their publication. But let’s put all the drama aside and get down to the book itself – SPOILER ALERT! The book follows the tale of the original beloved characters – Atticus Finch and his daughter Scout, now 26. You may realize there is a character missing there. Yes, dismissed as dropped dead at an in-between date that isn’t talked about….Here’s were I get sassy. If you don’t want to talk about a character, don’t dismiss them as easily and off-handed as this! Jem was a beloved character, he deserved better. I really do understand the underlying messages in this book – the coming of age, if not rather a little late, of a girl who has heroized her father her entire life only to be sorely disappointed and question her entire being in a shocking situation; discovering who you are as a person unattached to anyone else. The story makes sense, but whether it be a mix of the 1960’s cliches, a simple sign of the times, or Lee’s penmanship, I find the story and it’s execution rather confusing, sloppy, and truthfully quite a boring read. I think one of the most important things to keep in mind while reading this new novel is the time period in which it was written. It consists of a string of cliches, racisms, and ignorances that closely follow the first novel, so don’t get yourself in a tizzy when you see it’s 2015 publication date and questions the blatant racism. I feel like my opinions of this book may bring about many comments, and I hope so since I’d love to hear what you think. I could go on for days about this book but I feel that briefly touching upon the few things that rubbed me the wrong way will suffice. What were your thoughts? ← My Guide to the Perfect Contour!